That quote, attributed to Charles Darwin (albeit hotly debated for its accuracy and intention), is how Mark Sklarz rolled out to community groups the new Jewish population study commissioned by the Jewish Federation of Greater New Haven. Sklarz is president of the Federation’s board of directors, which is working with the demographic study committee. Now the Federation will conduct a range of community meetings so that community members, lay leaders, and federation leaders can review and discuss the data. In six months time, the strategic planning committee hopes to have a plan that reflects a structure for the community. “This is a watershed moment because we’re going to be able to respond to changes in the Jewish community and Jewish continuity,” Sklarz says. The New Haven Jewish population study is housed at the Berman Institute North American Jewish Data Bank, the central repository of social-scientific studies of North American Jewry. A collaborative project of the Jewish Federations of North America and the University of Connecticut’s Center for Judaic Studies and Contemporary Jewish Life and Roper Center for Public Opinion Research. Prof. Arnold Dashefsky, director of the University of Connecticut Center for Judaic Studies and Contemporary Jewish Life, is director of the Berman Institute North American Jewish Data Bank. Full reports can be found at the North American Jewish Data Bank, www.jewishdatabank.org. Among the data bank’s holdings – many of them available online – are questionnaires, reports, and data files from the National Jewish Population Surveys (NJPS) of 1971, 1990 and 2000-01, sponsored by United Jewish Communities (now Jewish Federations of North America). The data bank is the sole distributor of the NJPS 2000-01 dataset, and has archived a large collection of related materials. 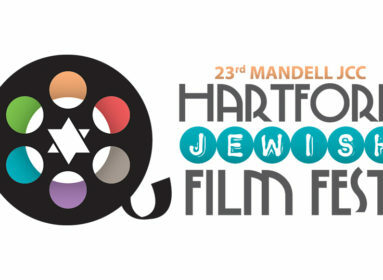 Greater New Haven is the third Connecticut Jewish Federation to conduct a major Jewish population survey in the past decade. The Jewish Federation of Greater Hartford canvassed its catchment region in 2000, and UJA/Federation Westport Weston Wilton Norwalk (WWWN) commissioned a study in 2001. The three surveys were led by Dr. Ira M. Sheskin of the University of Miami, a faculty member of the department of geography and regional studies, and director of the Jewish Demography Project in the Sue and Leonard Miller Center for Contemporary Judaic Studies. The data provide a valuable way to grasp the make-up of a community, but must be used in a timely fashion, says Steve Friedlander, executive director of UJA/Federation WWWN since 2004. Many Jewish communities would like to conduct such a study, Dashefsky says, but the biggest challenge is cost: a social-science survey that reveals an accurate count of the community can run into six figures. While a Jewish Federation may have access to information on affiliated Jews, it’s the unaffiliated that these surveys are meant to identify, in order to get an accurate portrayal of the population. A community wants to assess the geographic dispersion of the Jewish population, its age distribution, and the likely needs of different groups, in order to assess the various services it might provide, Dashefsky says. The 2000 Greater Hartford study revealed a large enough population of young families to consider establishing a Jewish preschool. The survey discovered a growing concentration of Jews in the western suburbs, which led to the creation of the Federation’s Chai Center for Jewish Life in Avon. Chabad of the Valley expanded its activities in the area, and Big Y Foods increased its kosher offerings. Federation has a two-part strategic planning structure, headed by Leora Cohen, director of development. There is an executive strategic planning committee, as well as a larger committee made up of some 60 members from every synagogue and Jewish organization and institution throughout the New Haven Jewish community, who serve as liaisons to the federation. With as much community input as possible, the committees plan to come up with five areas of priority that will help Federation in its allocations process, says Perry, “a way to re-engage people in the conviction that New Haven is a community that can do,” she says.